After a huge season of action it all comes down to this weekend’s event at the Perth Motorplex and with the Sims Metal Management Pro Dirt Series on the line, the last chance to get points for the Perth Motorplex Late Model Track Championship and not one but two feature races, every single competitor is going to lay it all on the line to close the season with a win. A good twenty one car field has nominated for the show which will see qualifying and one round of heats prior to the rescheduled Boxing Day feature race (round seven of the series) to be run over twenty laps. The Late Models will then have a break to work on their cars before returning for the last feature event of the season, which will be the twelfth round feature event. Making the event even more exciting is that there is less than fifty points separating the top four, meaning that anything can happen. After the last meeting Marc Giancola catapulted into the overall series lead, taking over from Michael Holmes by ten points after Holmes led the series for a number of rounds. Giancola hasn’t been able to score a main event win so far this summer despite claiming five heat wins, starting from pole position twice and finishing on the podium four times, so will be keen to finally break through for that elusive win this weekend. 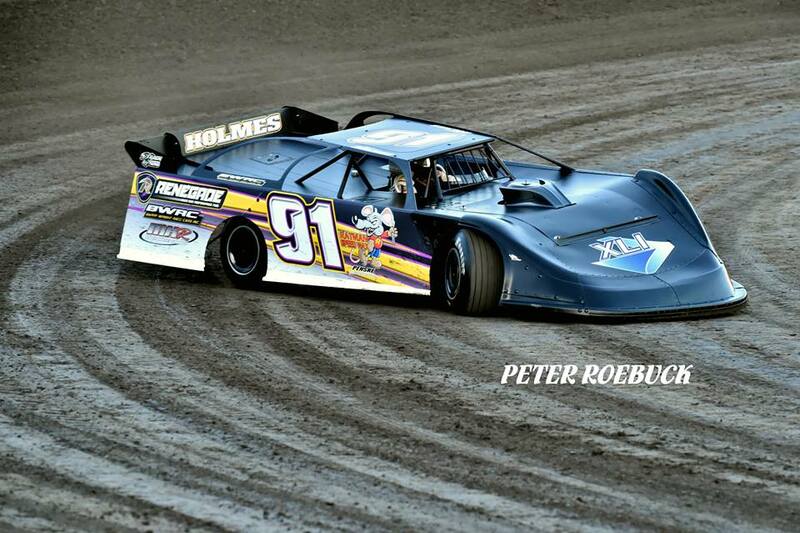 Holmes however has also got five heat wins, one feature win and a total of five podium appearances. He is right on Giancola’s tail and will be desperate to grab points in every single race to retake the lead, not to mention maintain the lead he has in the Perth Motorplex Track Championship. Currently in third place in the Sims Metal Series is Brad Blake, just eighteen markers behind Holmes. Blake has had six heat wins, two feature wins and another two podiums across the season while Jay Cardy, who is another eighteen points behind Blake in fourth place, has had four heat wins and three podiums in feature races. Both Blake and Cardy are still mathematically in with a change in the series but will need some luck to go their way. Despite not being in the overall points battle, newly crowned State Champion Brent Vosbergen is certainly on the hunt for another win. 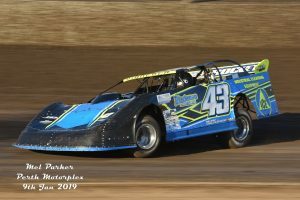 His maiden WA Title win last fortnight was also his first Pro Dirt Series feature win (despite having claimed three feature wins at the Perth Motorplex venue previously) after having been close on a number of occasions, with two other podiums this season alone. Some times all it takes is that one win before the flood gates open and a driver goes on a winning streak, so we may not have seen the last of the #4 on the podium yet! Another pair not in the points battle but a real threat this weekend are the Oldfield brothers Warren and Jamie. Jamie has grabbed one win and one podium finish while Warren has three feature race podiums this season, despite both only running a limited schedule. Any time these two roll into the pits they are a real chance of grabbing the win and this Saturday night will be no different. National Champion Paul Stubber will be keen to finish his season on a high, as will former National Champion Ryan Halliday, both of whom having already claimed features this season and desperate to grab another one for season 2018/19. Young guns Joe Chalmers, Aidan Trewern and Freddy Kinsella have all claimed heat wins this season and would love to turn these into some big results in feature races, while others including Veronica McCann, the returning Daniel Ameduri and the very impressive Ken Macpherson will also be expected to figure prominently. It is going to be a huge show and with everything on the line, no one is going to be holding back so make sure you get your backside trackside this weekend!